baby shower gift, Edushape is here to help. 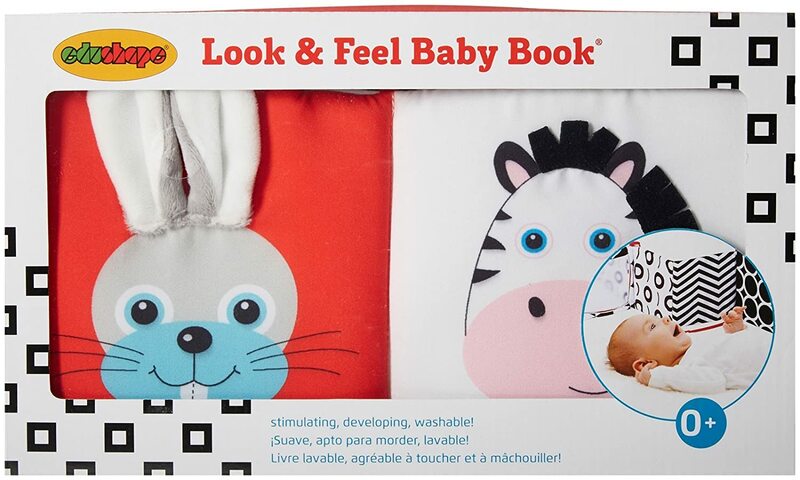 Edushape, a company that focuses on learning and fun, recently came out with the Look & Feel Baby Book. This soft, easy-to-grasp book unfolds to bold black and white shapes on one side and smiling animals on the other. Each animal has a special feature for baby to explore- crinkles, ribbons, felt, strings, and squeakers. This product can be looked at as a book with pictures. Or, it can be laid out straight so baby can see all the pictures on one side. There are several short red strings so that this baby item can be attached to a baby's bed or car seat. My little nephew loves his feel book, never too early to get them interested in books! I love how it can lay straight out like that! 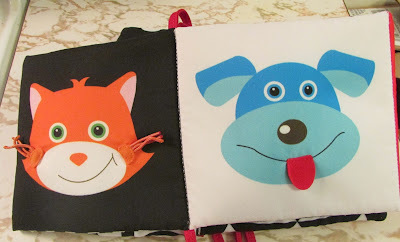 This looks like such a cute interactive book! This looks like a fine book set. My little niece would just adore this!